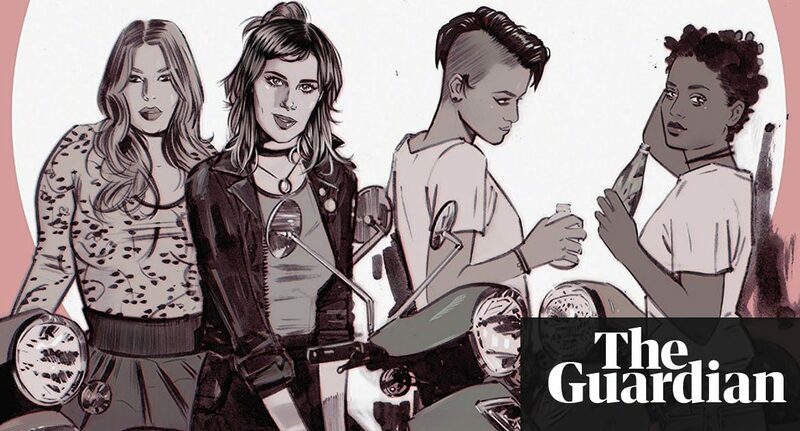 A queer, diverse Nancy Drew: is this how to keep children’s classics alive? When the news broke that Nancy Drew, that plucky, Titian-haired girl detective with her handsome boyfriend and supportive girl gang, was getting an intersectional makeover, youd forgive a queer Drewphile for bracing against an expected backlash. After all, having seen the heavily criticised sensitive revisions of Enid Blytons Famous Five books swapping tinker with traveller and awful swotter becoming bookworm pulled from sale because everyone wanted the originals, you might imagine appetite for modernised literary classics had dwindled. But later this month, the New Nancy Drew Mystery Stories will be published, updating the original cast of upper-middle-class, white heterosexuals to include an openly gay George come on, we were all thinking it who has a black girlfriend, and Georges cousin Bess, who is reimagined as a woman of colour. It comes soon after a similar reimagining of Louisa May Alcotts 1868 novel Little Women, with the March sisters now recast as multiracial and LGBTQ-inclusive to mark the novels 150th anniversary. Its always tempting to summon the spectre of political correctness whenever a beloved character or franchise is updated for modern sensibilities. But does anyone really want to consume media that ignore all the progress made in the past decades? Very few people only encounter straight, white, cisgender, able-bodied people every day, and books that only show that world increasingly feel anachronistic at best, or exclusionary at worst. The Lizzie Bennet Diaries recast bumbling Austen nice guy Charles Bingley as Bing Lee still bumbling, still nice, but now Asian. The early 00s Narnia films featured people of colour, albeit not in the main roles, despite the original novels flagrant racism. WASP-ish Nancy has been updated many times since her first appearance in the 1930s, from the Sweet Valley High-esque 90s novels to the 2007 film starring Emma Roberts, but only recently has a different Riverside Heights been explored, (although the proposed version starring Iranian American actor Sarah Shahi never made it off the ground). Readers and audiences of all shades and orientations are starting to demand more. The failure of comic-book adaptation Iron Fist to cast an Asian actor as the eponymous hero who is trained in martial arts in Asia is considered partly responsible for the shows lacklustre performance. The asexual community was disappointed when Jughead, who came out as asexual in the Archie comic books in 2016, was given several love interests in the TV adaptation Riverdale. Perhaps the only way the much-loved figures of our childhoods and our parents childhoods can survive is by adapting for a new generation. bQNeSN Looking forward to reading more. Great blog.Really looking forward to read more. Really Great. Good info. Lucky me I discovered your site by chance (stumbleupon). I have saved as a favorite for later! I simply want to say I am just beginner to weblog and really enjoyed you’re web page. Most likely I’m likely to bookmark your blog post . You surely have great well written articles. Thanks for sharing with us your web page. https://v.gd/IFHJad- – bookmarked! !, I love your web site! I simply want to say I’m newbie to blogs and truly savored this page. More than likely I’m planning to bookmark your blog post . You definitely have wonderful articles. Bless you for sharing with us your webpage. personal injury lawyer glens falls ny – http://bit.ly/2IdCbT9 – Kudos This has been an extremely wonderful post. Thank you for providing this information. gwmiqo,Very helpful and best artical information Thanks For sharing. I’m searching for out what one of the most prominent blogs are when it comes to news as well as sights and cellular phone things. RBm9Zd Im thankful for the blog post.Thanks Again. Want more.